VitalityPress: Has Julia Louis-Dreyfus' disease disappeared? 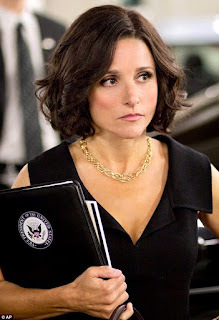 Has Julia Louis-Dreyfus' disease disappeared? Julia Louis-Dreyfus as TV's "Veep"
Emmy-award winning actress Julia Louis-Dreyfus celebrated the end of her chemotherapy treatments for breast cancer by posting a hopeful, humorous video tribute created by her grown sons. This week's oft out-of-focus Instagram post featured Henry, a 25-year-old singer-songwriter, and Charlie, 20, a college basketball player at Northwestern University — who the former star of "Seinfeld" calls "my beauty boys" — and drew more than half a million viewers and more than 5,000 comments within about 24 hours. Louis-Dreyfus posted the light-hearted video in the same timeframe as her 57th birthday. The tribute to her was titled "Mom's last day!!! BEAT IT!!!" and was a lip-synched version of Michael Jackson's song. The former star of "Seinfeld" was diagnosed in September the day after she'd won an Emmy for "Veep," and has since "been sharing her journey and support from loved ones and fans on social media," according to the Associated Press. Louis-Dreyfus has won a record-setting Emmy for the HBO series five years in a row for her role as Selina Meyer. About the boys, her offspring with her since-1987 husband, comedian-actor Brad Hall, she noted in a caption, "Pretty swell, right? Ain't they sweet?" 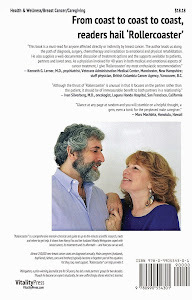 After her second round of chemo in October, she'd shared a photo of herself with an over-the-top drawn-on mustache, and before starting her third round, a story in the Sydney Morning Herald validates, she "posted a skit her 'Veep' co-stars, Matt Walsh and Sam Richardson, filmed to help her get 'psyched,' featuring motivational quotes from a range of problematic historical figures like Joseph Stalin and Harvey Weinstein." Has her breast cancer disappeared? No announcement about that has been forthcoming yet. 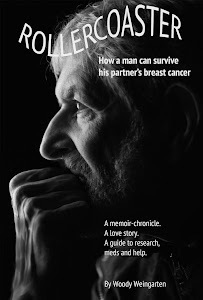 But a discussion of the myriad forms that loving reactions can take may be found in "Rollercoaster: How a man can survive his partner's breast cancer," a VitalityPress book I, Woody Weingarten, aimed at male caregivers.